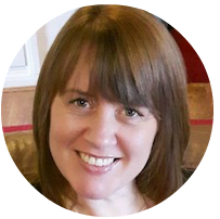 Joanne is a Certified Life Coach and EFT practitioner passionate about helping women finally feel that they are enough and feel good about who they are so that they can create a life they love. Joanne has helped many clients make peace with where they are, write new stories to become who they want to be, make simple shifts in the way they think so that they can let go of old baggage and drama, learn how to love themselves more, keep life simple so that they don’t get in their own way and learn to simply relax and enjoy life more. Joanne offers a free ‘Life Alignment’ strategy session at Women Who Feel Good.